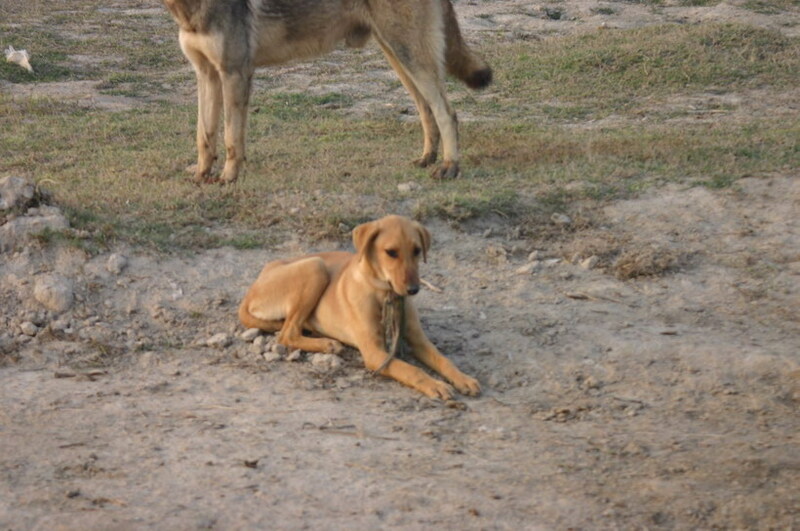 Stray dogs lope around, their tails between their legs, trying to be invisible. They shy from physical contact with people but respond with surprise and simpering gratitude if it is offered. Most of their physical interactions with people come in the form of kicks or flying stones. Their only real joy come when they join a foraging or hunting party or when they assemble as a pack. Then their tails would wag and they would briefly forget their hunger. Many of these dogs loosely belong to someone, but they are not considered objects of affection or “part of the family. 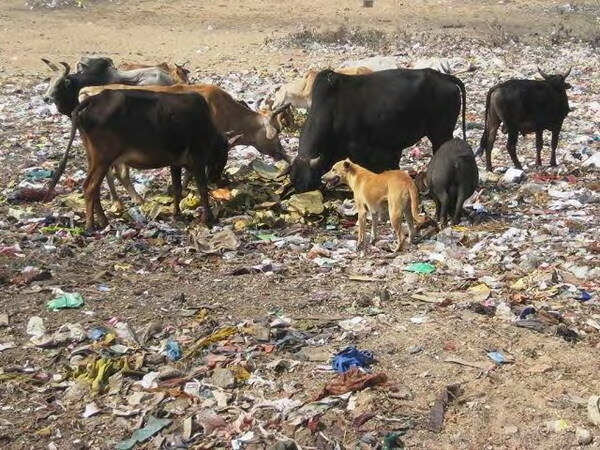 There is usually rarely enough food to go around and dogs are expected to take care of themselves. So they scavenge for scraps at night, and if these are inadequate they hunted lizards, mice, insects and all manner of other creatures. To empathize with an animal you could not think like a human and project your mind-set into it; you had to “be” the animal. Many find the habit of feeding and petting stray dogs odd enough, but the idea of giving it a human burial just seem absurd to most. But it is not completely without reference. Some critics say that the problem with animal rights activists is that they think dogs behave like humans or even that the dogs think that they are humans. They are not humans. They are dogs. Their ways are different, they contend. This line of linking seems at odds with the idea that hunter-gatherers had deeply empathetic relationships with the animals they lived among. But perhaps this is precisely what justifies the indifference. Some hunter-gathers like Ju/’hoansi insisted that animals are people. Not humans but people. They asserted that each species of animal had its own physical forms, customs, habits and ways of experiencing and interacting with the world. Ju/’hoansi claimed to know this because they observed, engaged with and empathized with the animals with whom they shared their world. Most pet owners claim that the sympathy they offer their pets is based on an empathetic relationship with them built on traits our species and their species have in common — in the case of dogs their sociability, their loyalty, their gratitude. But this is a different understanding of empathy than that which hunter-gatherers like the Ju/’hoansi had for their animal neighbors. For them animal empathy was not a question of focusing on an animal’s human-like characteristics, but of assuming the whole perspective of the animal. Their animal empathy defied verbalization. To empathize with an animal you could not think like a human and project your mind-set into it; you had to “be” the animal. This view of empathy was the product of millennia of living among the wild animals of the Kalahari as “neighbors” and hunting them. Where other peoples defined themselves by reference to other tribes or nations, Ju/’hoansi defined themselves in terms of their differences from the lions, elephants, aardvarks, elands and many other creatures they lived among. Their animal neighbors were a constant source of fascination. Any interesting or unusual animal behaviors, habits and interactions would generate considerable discussion. Their knowledge of the animals was such that they were able to establish an animal’s apparent motives and actions from a few scuffs in the sand, sometimes a day or two old, and accurately predict its movements or behavior on this basis. But their success as hunters, after all, depended on their ability to accurately anticipate the behavior of their prey. And this, they insisted, required empathy. Typically Ju/’hoansi hunted with small poison arrows that lacked fletching. It took great skill and knowledge to get close enough to an animal to shoot it and even greater skill to able to track the animal down as the poison did its work, which could take between six and 48 hours depending on the size of the animal. After shooting a large animal like an oryx or a giraffe, a hunter would memorize the individual animal’s spoor and return the following morning to track it down. When a hunter found and followed his prey’s spoor he would not merely read it but surrender himself into it, living each footfall that scuffed the sand. In doing so he plunged into his prey’s consciousness, dissolving the boundary between the hunter and the hunted. Finally, by consuming their prey, the hunter and the prey’s relationship would move from an empathetic union to a physical one as they literally became of one body. But this kind of empathy did not persuade Ju/’hoansi and other hunter-gatherers to feel sympathy for animals or assume a duty of care for them. Rather it made people focus more on the non-human behaviors of animals rather than what they had in common. Among people who considered themselves to be just one of many different kinds of animal-people in a wild environment, hunting, death and pain were parts of everyday life. Human compassion did not extend to other species. The relationship of dog-lovers with dogs is an artifact of the Neolithic Revolution. The domestication of the wolf was but a small part of a transition that fundamentally reconfigured how humans related to their environments. Where they once saw themselves as one of many creatures sharing environments, they now placed themselves at its center and sought mastery over it. Accordingly animals were divided into a series of new categories based on how they fit into the human world. Some were designated pets or “livestock” – and a duty of care was extended to them. Others were designated pests or vermin. Animals ceased to be considered different kinds of “people,” and those like dogs were selected and bred, for human-like traits, among other things, that we could easily empathize with without displacing our sense of ourselves as humans. The lives of animal rights activists and dogs intersect. They both are Neolithic orphans stranded in a Paleolithic world. The Ju/’hoansi’s sense of interspecies relations and their extraordinary empathy was right for the wild animals that shared their world, and there is much we can learn from it. But when it comes to dogs, and other creatures that have evolved to crave our affection, the animal rights activists should be glad to be a child of the Neolithic. Some excerpts based on writings of James Suzman who is an anthropologist and who has spent most of his adult life working with and writing about Kalahari and its peoples. He is the founder of the research organization Anthropos.org, based in Cambridge, England.